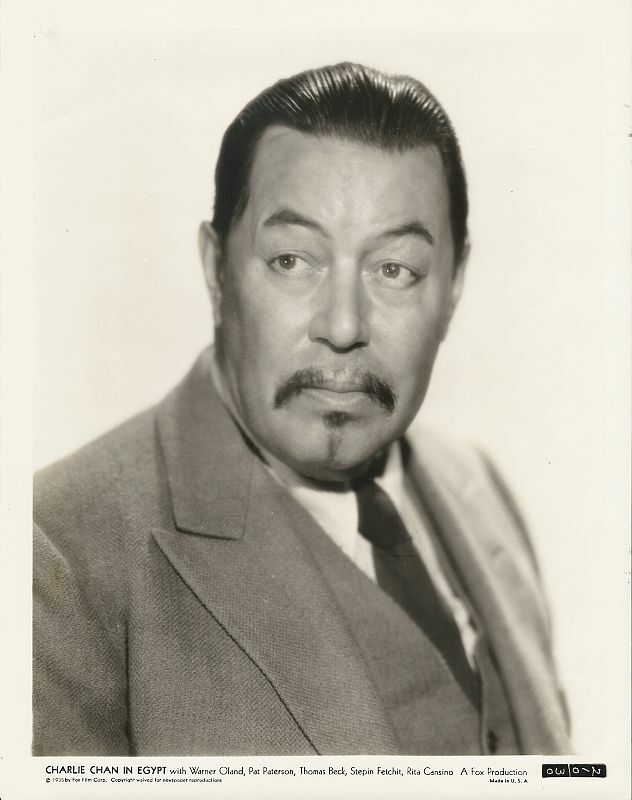 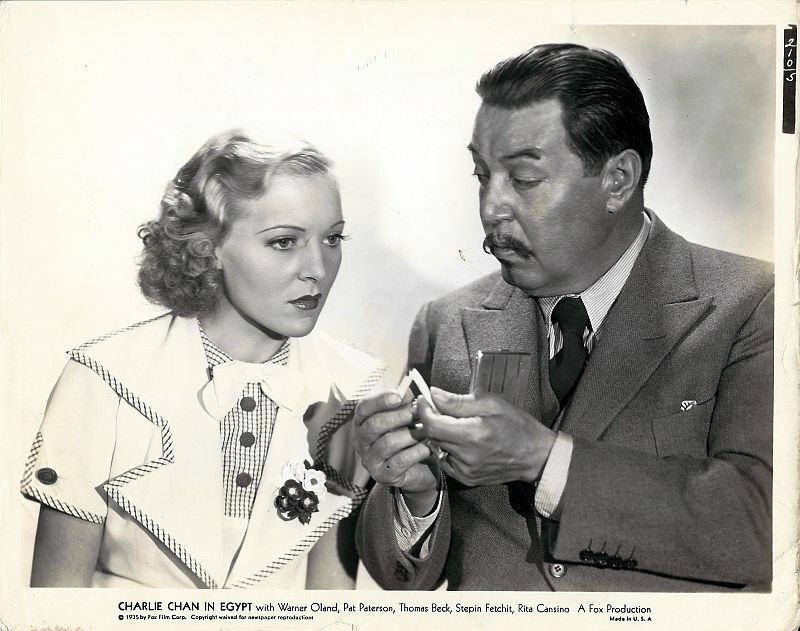 Gallery: "Charlie Chan in Egypt"
Charlie Chan shares a clue with Carol Arnold. 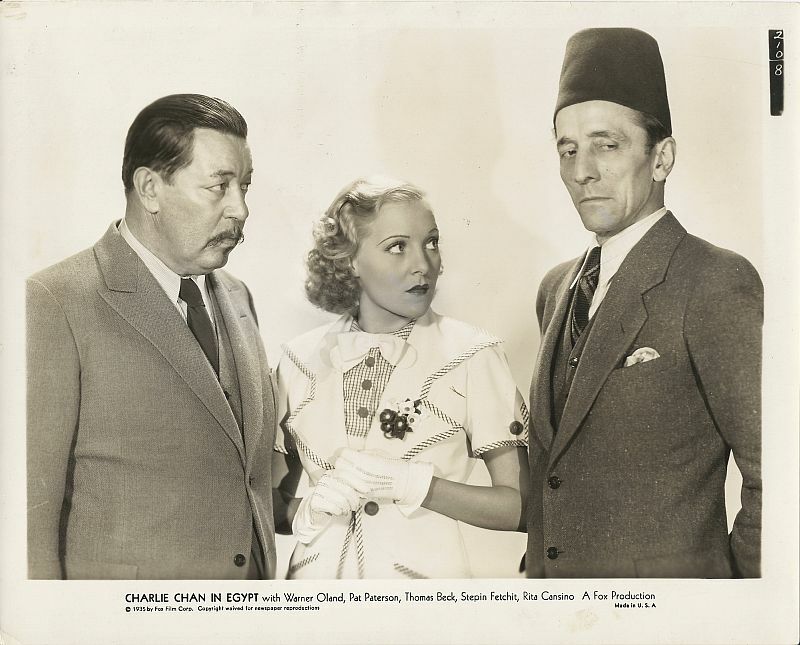 Charlie Chan with Carol Arnold and Edfu Ahmad. 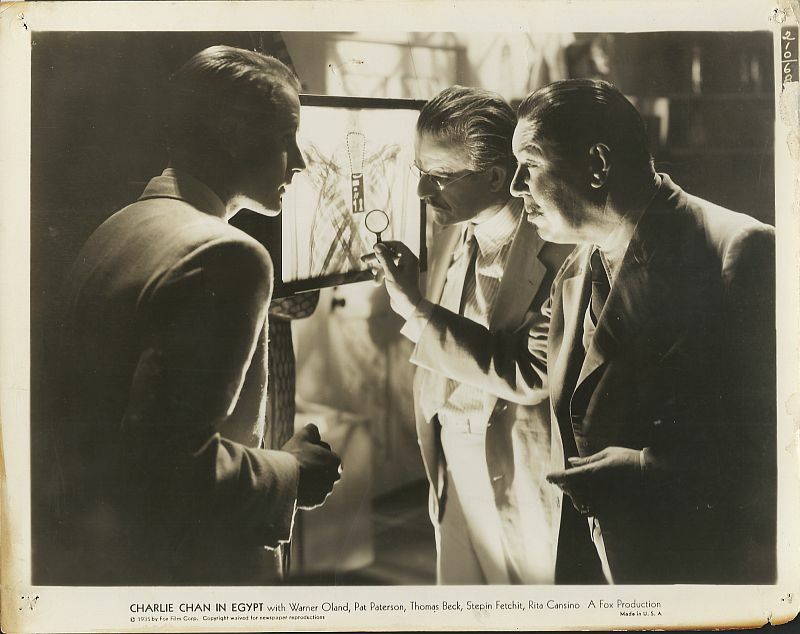 Charlie Chan shows Tom Evans and Dr. Racine an anomaly in the x-ray of "Ahmeti's" mummy. 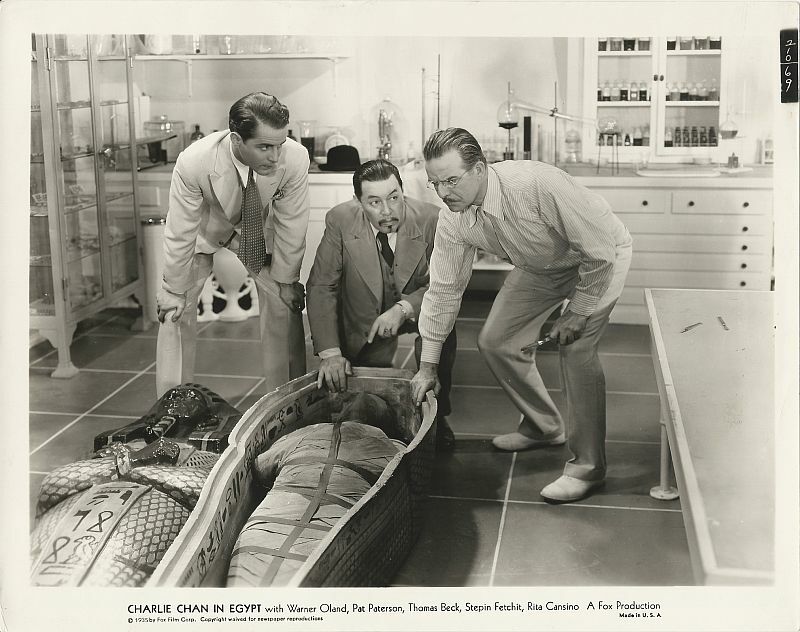 The mummy case is opened to investigate the truth of the mummy's identity. 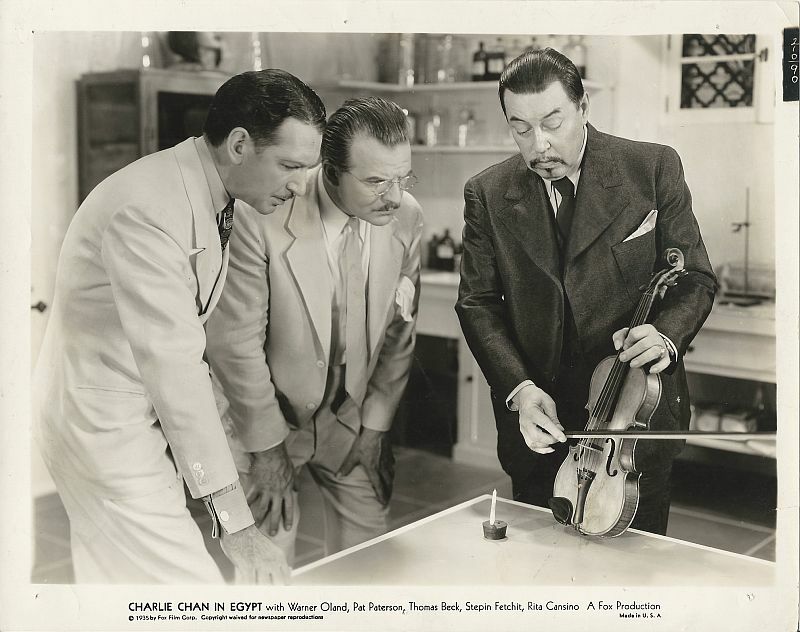 Charlie Chan demonstrates how a violin could have been used as a murder weapon. 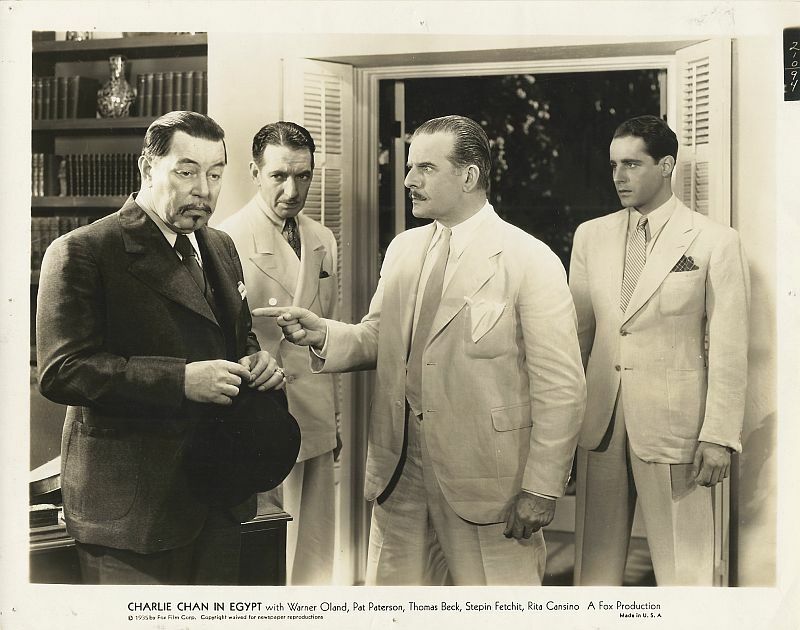 Dr. Racine accuses Charlie Chan of bungling the murder case.